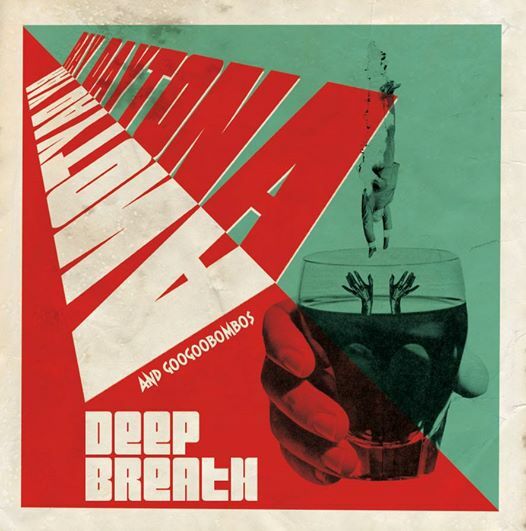 Taking a break after the promotion tour for Deep Breath… but still rocking! Stay tuned for upcoming gigs, very sooooon! 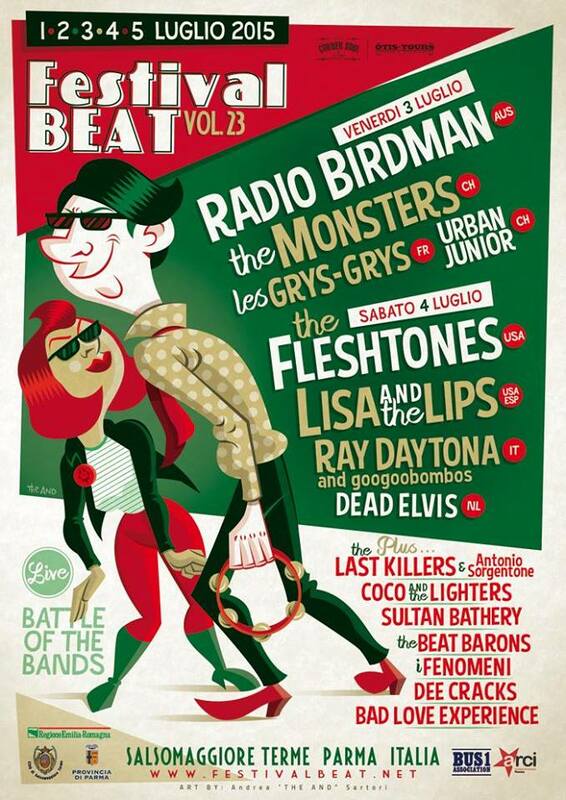 After 15 years… back to the Festival Beat! June, 20th: proud to be back to Rocca’n'roll Festival in Castel d’ario (MN)! 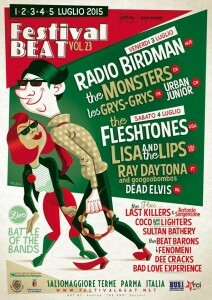 See you at Surfer Joe’s Vintage Festival, May 29th in Livorno! New record out november 21st, with seven new songs! Recorded at T.U.P. Studio. Mastering by Jon Astley, co-producer with Glyn Johns of the Who’s last album with Keith Moon Who Are You. He has remastered records for Small Faces, George Harrison, Who, Zombies, etc, and we are very proud to have worked with him. Cover artwork by Fabio Conti. Getting ready for a bunch of gigs in this hot autumn… we’re going North and South, and Center of Italy, here’s the complete list of gigs until december! 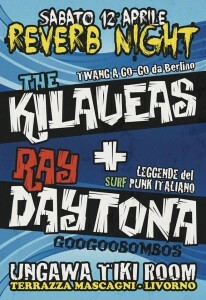 Reverb Night at the Terrazza Mascagni in Livorno! With the Kilaueas, see you there! 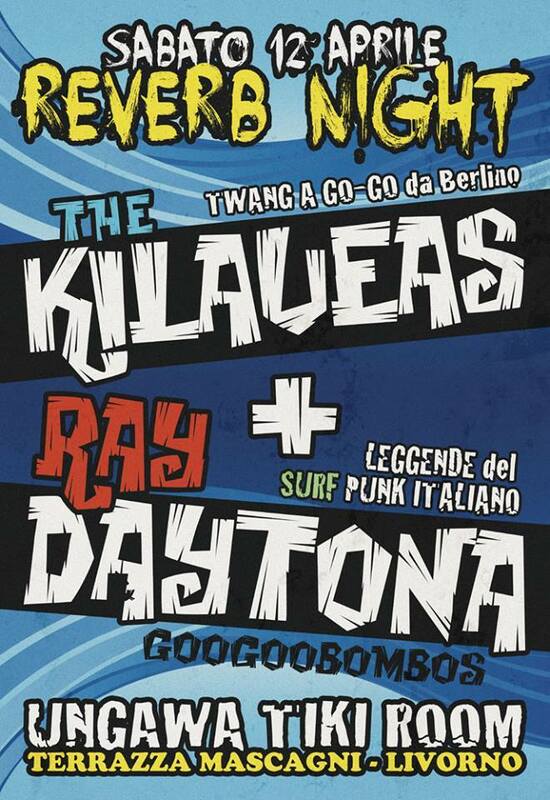 Ray Daytona and Googoobombos catalogue (oldies and rarities) available on Soundflat Mailorder.